I’ve been meaning to update the site with my news about UFE (Universal Fighting Engine), but that’s going to have to wait until I have more time to write the post :). For now, check out a game I made in 3 days using UFE. 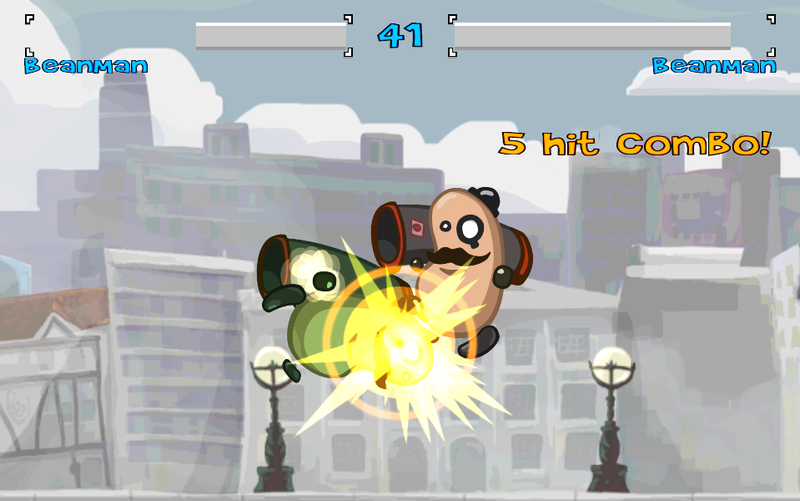 It’s called Bean Man’s Bazooka Battle! and uses assets from Unity’s 2D Platformer example project. This was created as a test for UFE with 2D graphics. For more information, visit the game’s website and the UFE forum post. 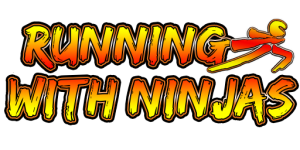 I just submitted the next update to Running With Ninjas. This update includes Game Center support. Apple have made it quite easy to implement Game Center into your App. I will likely include it straight away in all my games from now on. In RwN, we’ll have two leaderboards. One for score and one for distance. Originally, I was going to leave distance out, as I didn’t think it was necessary. But an upcoming feature requires tracking your distance in a similar way, so to prepare for that I’ve added the extra leaderboard. Also included are 10 achievements. 2 are hidden, as they’re very hard to get. I nearly made all achievements hidden, but decided you should be able to get some hints on them in order to know what to aim for. The update should be live in the next week or so. The Time Scroll is a new scroll, whose idea came from a member of the Touch Arcade forums. The reason for its inclusion was that players were finding the other scrolls too hard to execute. Time Jutsu is executed with a simple diagonal swipe. Upon triggering, time will slow down for a few seconds. During this time players can either use it to better dodge incoming fire, or to easier execute another scroll. The catch is that Time Jutsu costs 1 Jutsu character to perform. There is only 1 scroll that would not be possible to perform after Time Jutsu as that costs 5 characters. So although it will make it easier to execute your next scroll, there is a cost to such ease. I wanted to give players an incentive to still perform the scrolls without this aide. But the aide is still there should they need it. Time Jutsu is automatically available from the start to all players. With the new domain name, I have a new game released on the App Store. 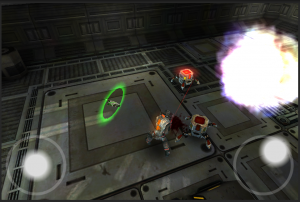 Running with Ninjas is an endless runner mixed with a shoot ‘em up. Move your ninja by tilting the device like a steering wheel, jump with the left button and throw your ninja stars with the right. You can also summon special attacks, if you have enough Jutsu meter, by using a unique drawing system. Scrolls, which are earned by defeating bosses, teach you new patterns to draw. The game will keep record of your best distance, score and combo. Keep combos up to add to increase your score multiplier!